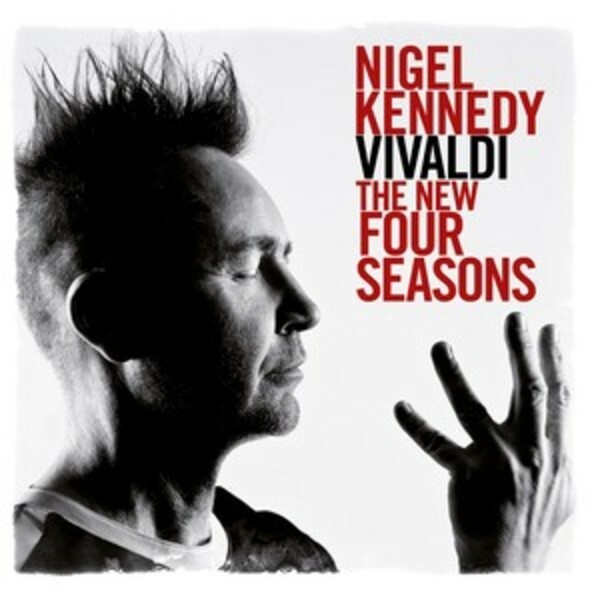 Nigel Kennedy returns with a completely fresh take on The Four Seasons, but while the music sounds hugely different, his creative attitude is the same. Once again he has set out to prove that The Four Seasons can be music for all time, and in his opinion there's no reason why Vivaldi's masterpiece shouldn't be opened up to embrace developments in musical instrument technology, or even new musical styles undreamt of in Vivaldi's 18th century world. Kennedy recorded this new Vivaldi�s 'Four Seasons' with his Orchestra of Life, young musicians who are equally at home performing classical repertoire, jazz and improvisation. Integral to the Kennedy approach is the drum programming of Massive Attack's Damon Reece, which adds a mesmerizing rhythmic pulse underneath the crisply-articulated playing of Kennedy's Orchestra of Life. So it's Vivaldi's Four Seasons, but not as we've known them. The rhythms, the tonal palette and the instrumentation are different, and the introduction of voices and electricity clearly move the piece into a different dimension. But creativity means change, and the last thing Nigel Kennedy will ever do is stand still.